They’re best mates, rival Holden and Ford factory driversand running one-two in the 2013 V8 Supercars championship. 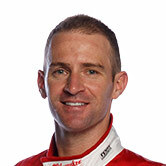 And they share onemore thing – neither Jamie Whincup or Will Davison is happy right now. Both know they sit atop the points table through consistencyrather than outright speed, neither having won a point-paying race this year. Andbetween them, they managed one rostrum finish in the three races that made uplast weekend’s Tasmanian championship round at Symmons Plains. And yet heading into this weekend’s third round of thechampionship, the ITM 400 Auckland at Pukekohe in New Zealand, Whincup has 513 points, Davison 450, while Whincup’s teammate Craig Lowndes dropped from firstto third on the ladder after a bad weekend in Tasmania. For Whincup, the defending and four-time champion, the handlingof his Red Bull Racing Holden VF Commodore on soft tyres is an issue, whileDavison is looking for more grunt from his Pepsi Max FPR Ford FG Falcon. Both of them, like almost everyone else in the field barBrad Jones Racing duo Fabian Coulthard and Jason Bright – who won all threesoft tyre sprints at Symmons – are still searching for the hot set-up for theirnew Car of the Future racers. 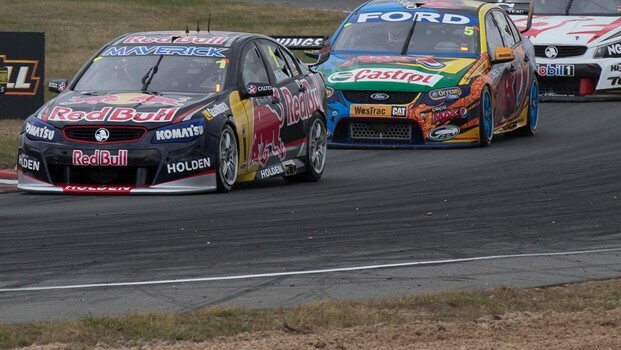 “It’s just not nice to drive,” explained Whincup, who went2-4-5 at Symmons Plains. “A good car will brake straight, when you turn thesteering wheel it turns and when you get on the gas it drives off the cornernice. So it’s not doing all those good things. Davison, who managed 6-5-6 placings in Tassie, said he waspleased to finish as well as he did on the power-oriented Symmons bull-ring. While both drivers admit their issues, they are alsoconfident the issues will be rectified. Most recently it was FPR that gained a performance advantageover Triple Eight in the early stages of the 2012 season. 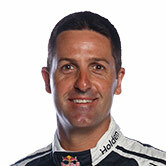 His team’s fightbackto dominance from that challenge is inspiration to do it again, says Whincup. “We take a lot of confidence out of that, we are not just ateam that has got a good product and don’t know how to fight, we have certainlyshown that we know how to fight.